Go ... and learn about ministry in Haiti and Africa! As part of a short-term team, you learn first-hand about ministry. Come experience how your support for Christian World Outreach (CWO) is making a difference, or volunteer your time and skills in medicine, construction, working with children and many other areas. Short-term trips are designed to assist those on the field with the ongoing work of CWO and are also life changing for those who participate. If you are interested in planning a future trip to Burkina Faso, Haiti, Zambia, or Zimbabwe for your church, your small group, your family or if you are interested as an individual in joining a future team please contact us. Burkina Faso 2019 VOO, Mobile Clinic Team Forming - Contact Us! 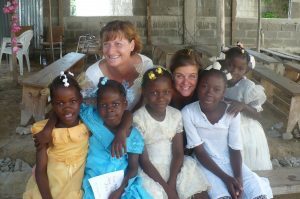 Haiti 2019 Serving, teaching, working Teams Forming - Contact Us! Zambia 2019 Working with Nephews Teams Forming-Contact Us! Zimbabwe 2019 OK Kids Teams Forming-Contact Us!